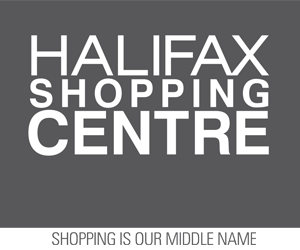 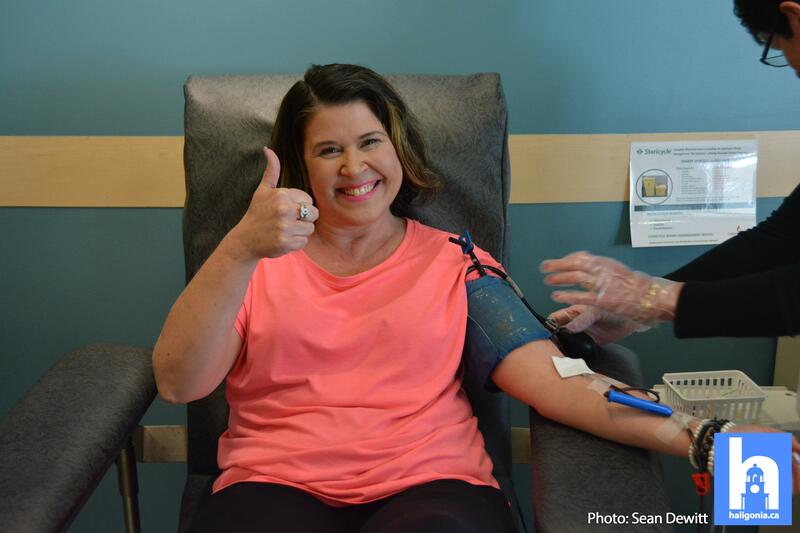 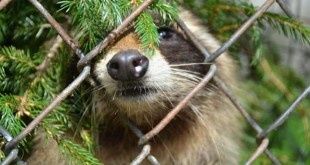 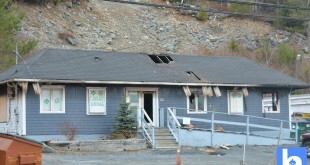 A three day life giving event is underway in Halifax. 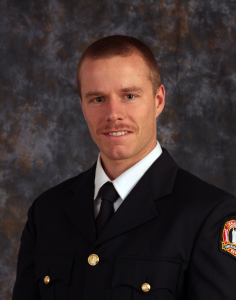 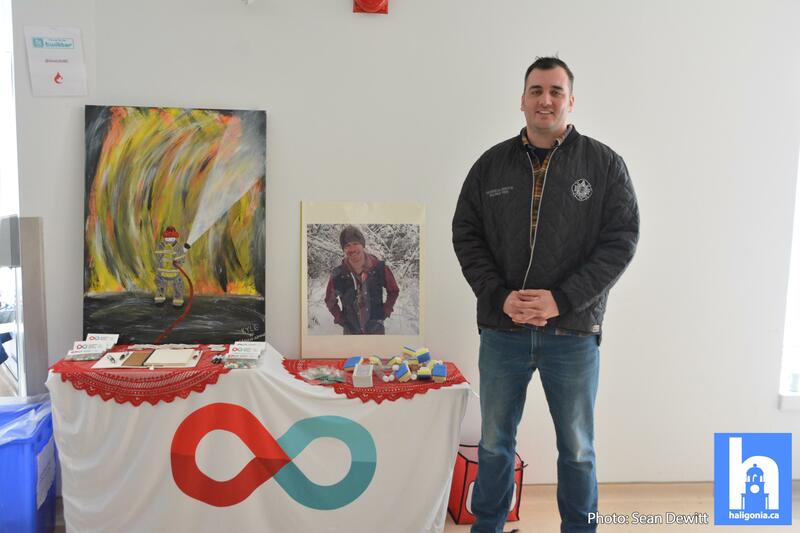 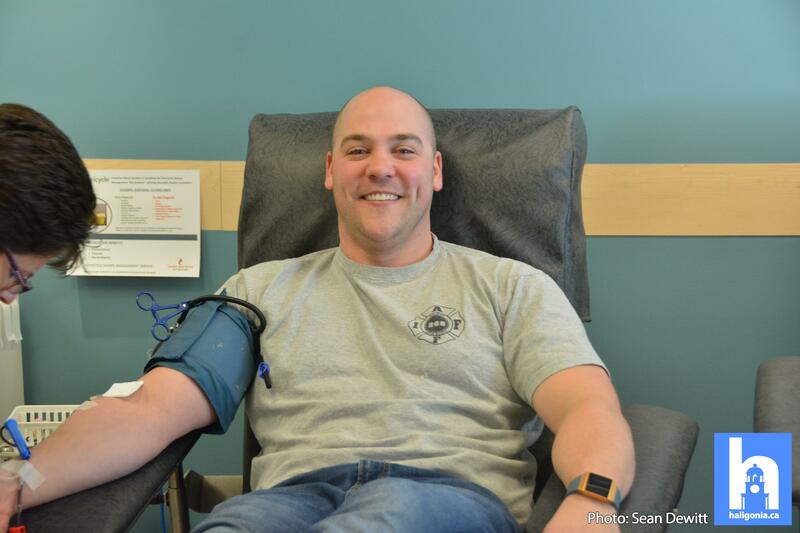 In memory of Kyle Currie, a Halifax Regional Municipality firefighter who passed away Oct. 2, 2018 at the age of 34, a blood drive is underway, organized partially by friend Captain Michael Sears. 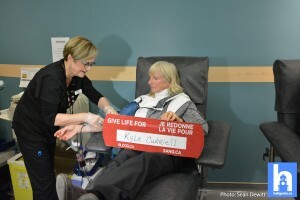 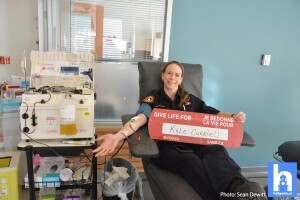 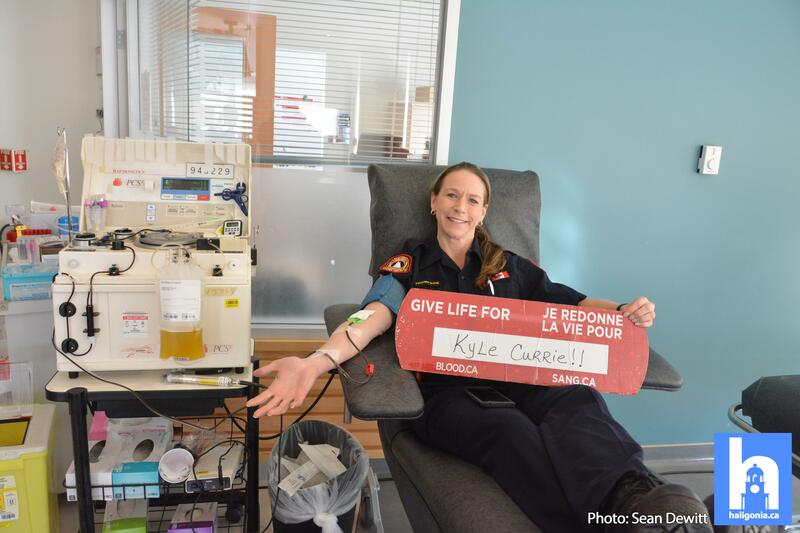 Eligible blood donors, participated in his honour from March 18th to the 22nd and show support by sharing their donation experience on social media using the hashtag #GiveForKyle. 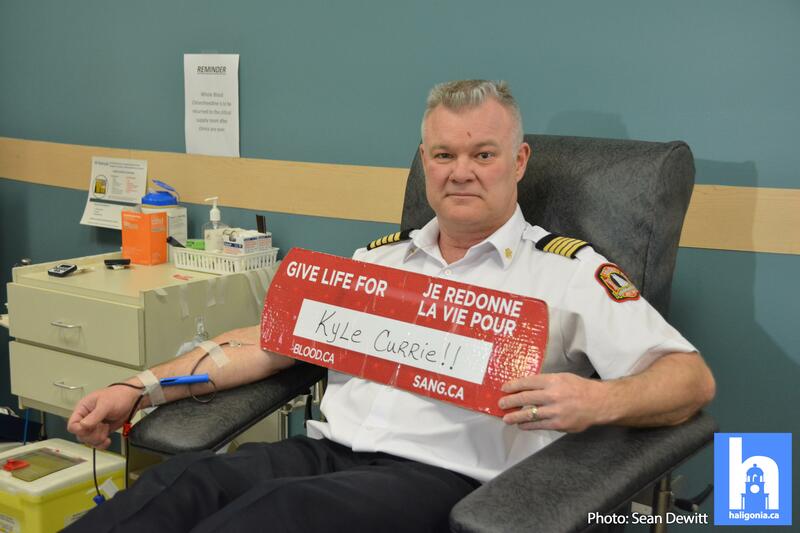 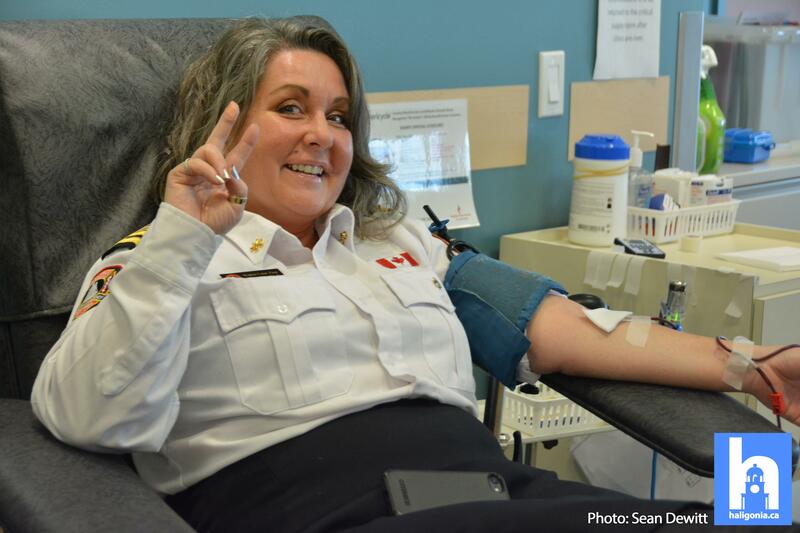 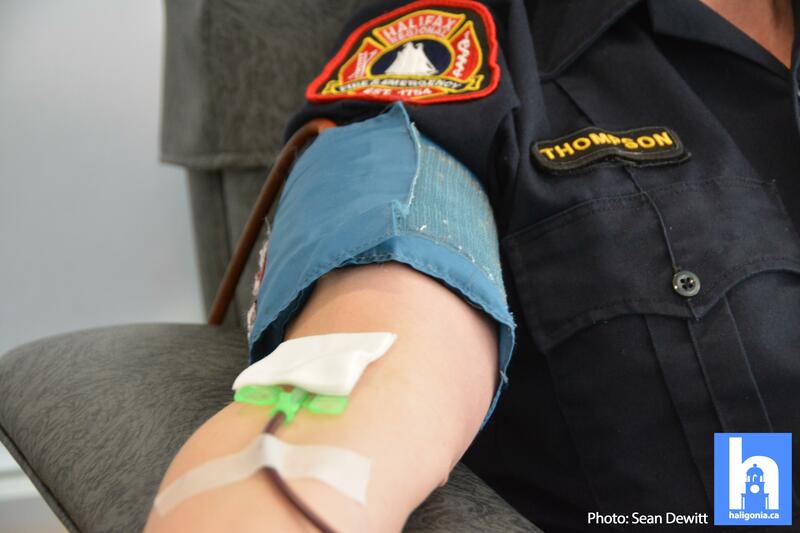 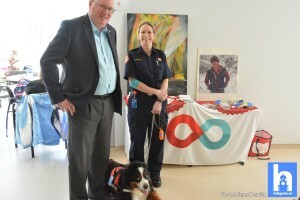 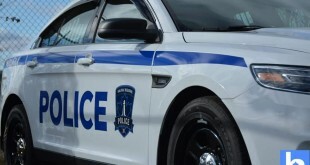 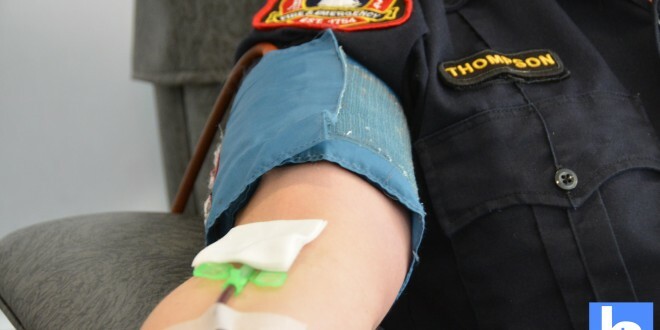 Kyle’s family and friends were joined by Halifax Regional Fire and Emergency members who donated blood in his honour, with a special upcoming date of the 20th (Kyle’s birthday). 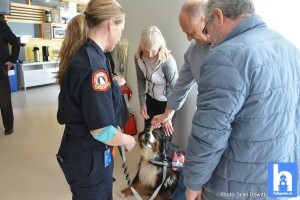 They were joined by HRFE therapy dog Hicks (who remained in the lobby area) who visibly lightened the room with unquestionable puppy charm and affection. 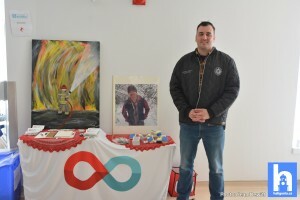 Kyle donated his time to many charities including the Parker Street Food Bank, International Save a Child, and he handed money to the less fortunate. He was adventurous, funny, kind and a highly-skilled athlete. 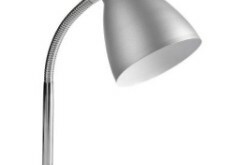 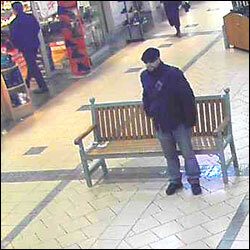 His prankster side very often showed up at work and he was famous at HRFE for doing character impersonations. 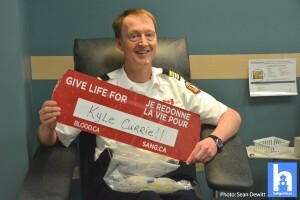 Kyle was a very generous spirit and he would love to know that people are rolling up their sleeves to donate in his memory. On behalf of Kyle, his friends and family ask you to please donate the gift of life and help support someone else’s fight.